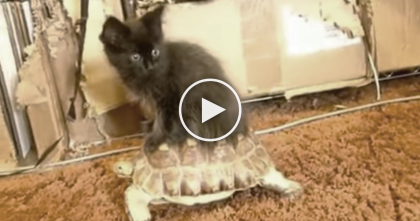 Kitty Keeps Falling Over, But When You Realize Why?? This Will Warm Your Heart… Amazing! At first, this cute kitty looks like any other cat…but when you take a second look? This sweet cat is called Tippy. She was born with a medical condition called cerebellar hypoplasia and it makes it hard for her to walk without tumbling. What an amazing kitty, you can’t help but love her—SHARE this sweet cat with friends! 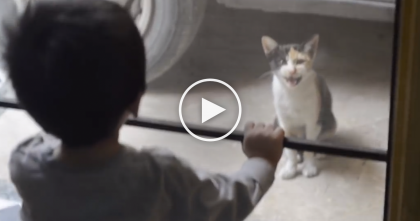 Toddler Is Talking “Meow” Language, But Kitty Has The Purrfect Response… WATCH. 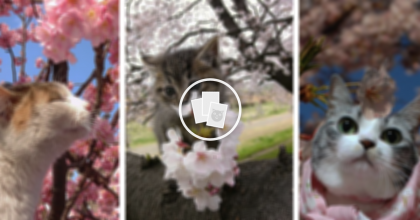 These 12 Pictures Of Cats Enjoying Cherry Blossoms Will Convince You There’s Nothing More Beautiful! 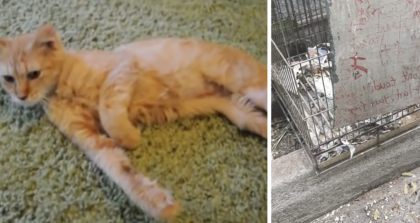 Poor Cat Locked In Bird Cage Her Entire Life – Now Watch Her Response When She’s Finally Freed!